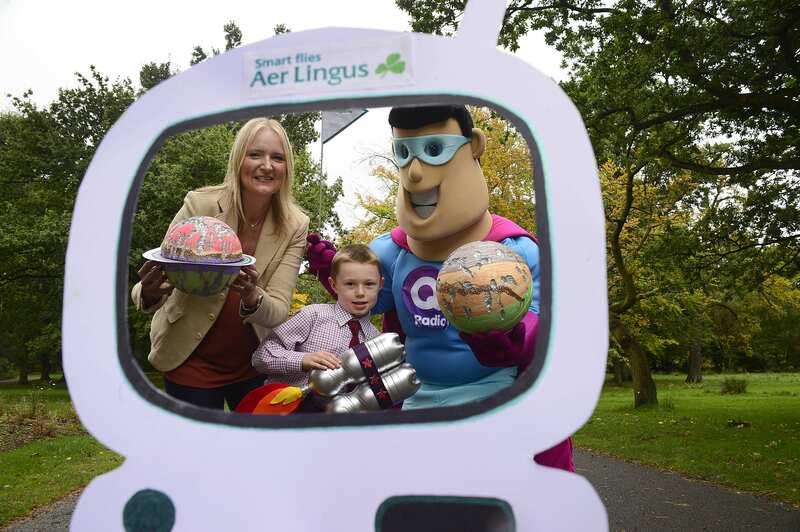 To celebrate the 10th Anniversary of the Aer Lingus Art for Schools’ Competition, Aer Lingus is challenging kids to imagine what the world will look like 10 years into the future. The competition is open for entries now for pupils between primaries four and seven across Northern Ireland! Aer Lingus will fly the winner and their entire class to London to spend the day at the Science Museum, taking a Virtual Reality space descent with astronaut Tim Peakes and visiting Tomorrow’s World. Dream big and let your imaginations fly! You can enter by visiting here. Closing date for Aer Lingus Art for Schools entries is the 8th December 2017. The winning class will find out they’ve won when the Q Super Bus arrives at at their school on 14th December! Tune into Q Breakfast with Stephen & Cate all this week for a chance to win a pair of flights daily on the show. Flight destinations include London, Faro and Malaga. Tune in and you could be a lucky Aer Lingus winner!